When I walked onto the grounds of the Rawhide Event Center, I did not know what to fully expect. 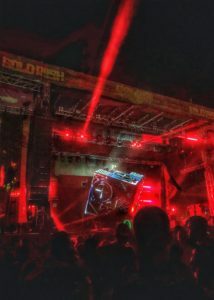 Although I would consider myself to be an avid festival goer, I had never been to a themed festival, and I was incredibly impressed by what Goldrush had to offer. The festival, a Wild West themed event, truly made me feel as if I stepped foot into a western town from the past. 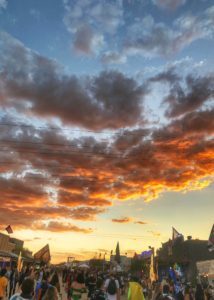 The town had several western themed decorations including a giant cowboy boot, a jail with a sheriff, and even an appearance by Skrillex, in the form of a “Wanted” poster. Additionally, there were a number of western themed activities that festival goers could participate in including a rock-climbing wall. 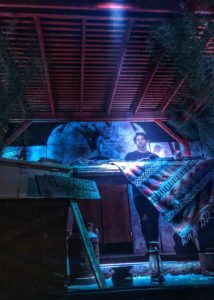 The only thing that was more impressive with the environment of Goldrush was the music, of course. While there were four stages to choose from, Golden Gorge, Pioneer Peak, The Hideout, and Wagon Wheel, I spent most of my time floating between Golden Gorge and The Hideout. 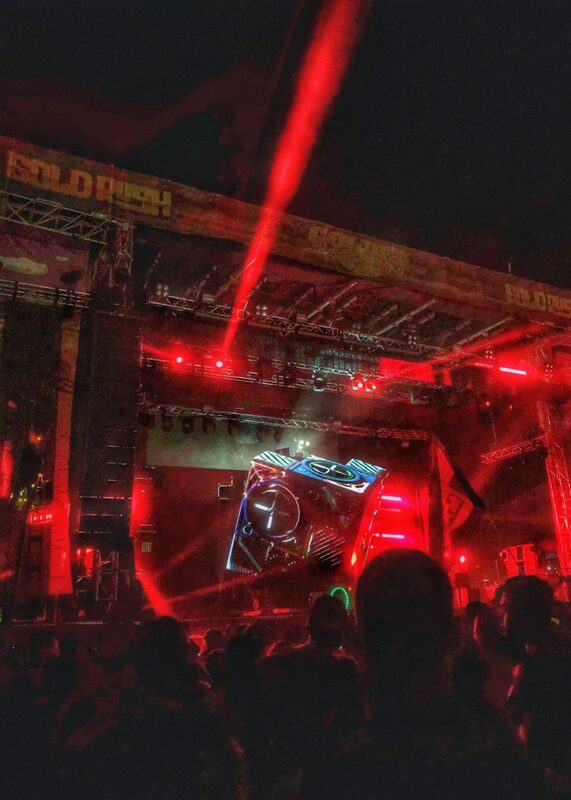 On the Golden Gorge main stage, Deadmau5, Vince Staples, Chris Lake, Louis the Child were all favorites of mine. In The Hideout area, Claptone, Yotto, and the entire Desert Hearts crew stole the show. By far, the best set of the weekend was Illenium (Live). Overall, Goldrush was quite the experience. I’ve been to several festivals and feel as though this is one of the best in terms of atmosphere and music. Goldrush’s sophomore year was certainly a hit, I am already looking forward to what is in store for next year!